Narrin's Spices and Sauces is a family operated stand located in the beautiful and historical West Side Market building. Here, we have a variety of international products including spices, herbs, beans, sauces, seasonings, rice, and so much more. We offer all of the "hard to find" and unique ingredients for your exotic dishes. 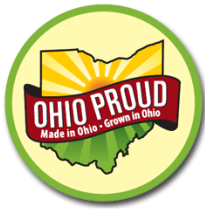 Even though many of our international products are sourced directly from their countries such as Africa, India, South East Asia, and Mexico, we also carry a very large selection of products that are locally sourced from farmers in Ohio and the Cleveland area. COME VISIT CLEVELAND'S LARGEST HOT SAUCE COLLECTION! Orange stickers indicate Cleveland and Ohio made products. ​A healthy body means a happy life. Eating super-foods such as quinoa and flax seeds can give you increased health benefits! At Narrin's, its easy to stay fit and healthy! At Narrin's Spices and Sauces, we care about your dietary needs. 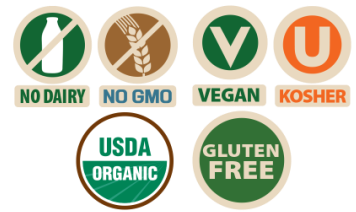 That is why we offer an exquisite selection of gluten-free flours, organic and non-GMO foods, vegan, kosher, and more. We carry a wide range of locally grown foods such as herbs, grains, beans, and much more. We also have a large selection of Cleveland and Ohio made sauces and spices.